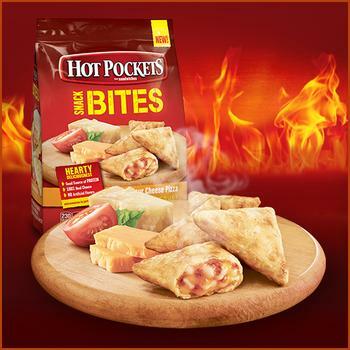 Nestlé USA is recalling Hot Pockets Four Cheese Pizza Snack Bites. The product contains egg, milk, soy and wheat, allergens not declared on the label. There have been no confirmed reports of adverse reactions due to consumption of these products to date. The frozen triangular-shaped, snack-sized product was donated June 22, 2017, in 600-lb. totes to a charitable organization in Missouri and not sold in retail stores. It may have later been repackaged in resealable plastic bags and further distributed and sold to food banks in Missouri. Customers who have received or purchased the repackaged product should not consume it, but discard it or return it to the place of receipt/purchase. Consumers with questions about the recall may contact the company at (800) 681-1676 or by email at nestleproductinquiry@casupport.com.